A few weeks ago, I had the opportunity to hear Tracy Cross, an endowed chair at William and Mary, speak at a gifted education symposium. He spent time elaborating on some of his most moving research: a study in which over 13,000 gifted and talented kids in the United States were asked to describe their school experience in a single word. The most commonly-cited term? Waiting. 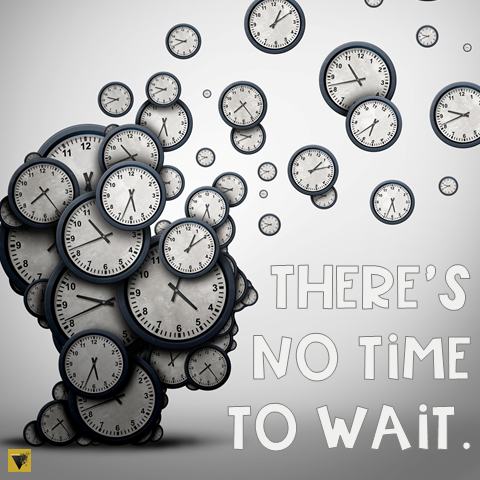 There’s no time to wait. Every student deserves to learn every day–not spend the day waiting! Take care of materials management at the beginning of class, as students walk in. I post what they need on the board (I like to just put it in my daily PowerPoint), place any copies, highlighters, etc. at the front of the room, and set the expectation that students will grab their stuff as they walk in. Behavioral disruptions are all about proximity and nonverbal cues. The deeper I get into my career, the more I believe in the power of just being out of my seat, which tends to discourage most bad behavior. If a student is talking, I move near that student and may even place a hand on his or her desk. If a student has a cell phone out, I make eye contact, give a brief gesture like I’m putting a phone in my pocket, and keep on going with my instruction. If the disruption continues, I simply ask the student to step into the hallway until I have a moment to address the issue. It might sound like overly simplistic Classroom Management 101, but even when I cover classes with students who don’t already know me, it works, because it’s clear, direct, and non-confrontational (read: respectful). Lesson planning, lesson planning, lesson planning. First, if it’s something new to you (you’ve never taught it before), I cannot emphasize this enough: DO THE ASSIGNMENT YOURSELF FIRST. You’ll get a sense of the time involved (plus, you’ll be much better prepared to give quality instruction). Second, write down the directions you plan to give, like a script. It’ll help you speak clearly and concisely (no unnecessary repetition or confusing statements). You’ll wrap up your part faster so students can jump in, and they’ll likely have better questions about the assignment because they’ll understand it better from the get-go. Backdoor communication from students helps eliminate the steady stream of repetitive questions from the kid who really wasn’t listening the first time around. If you have a lesson that’s heavy in direct instruction or multi-step directions, place some post-its at the back or side of the room, put up a piece of poster paper as a “parking lot,” and tell students at the beginning of class that any questions can be put there for you to address at the end. As an alternative, keep an open question space in a tech tool like Socrative for students to type into (just be aware that those phones might not be out for an educational purpose). Set a timer—and always give students less time than it will actually take them. When you create a sense of urgency, it also drives students to speak and act with purpose (i.e. on task). Do they need two minutes for that discussion? Tell them they can have 90 seconds. Do they need twenty minutes to annotate and analyze that section of text? Give them fifteen—then let them cheer you when you “give in” and let them have the extra five minutes you planned for originally. Wait until the end of the year, then reveal your strategy as a gift to your procrastinators, who can start setting timers for themselves to create a sense of urgency for homework and other tasks. ALWAYS pre- and post-assess. This does not mean you have to give tests constantly. It means you need to know what your students know. Do it through discussion, projects, writing, quizzes, surveys, graphic organizers, anything. Just do it in a way that allows you to actually keep track of what your students know, what they need, and how they’re growing. Learn about differentiation options like curriculum compacting. Not every student needs that whole unit, which means you may need to be ready to provide some alternative, quality lessons. Use those pre-assessments to determine up front which lessons those may be so that you have plenty of time to develop, prep, and implement them. Group like your life depends on it. Assign your students’ groups (I like to rotate at each grading period) based on their strengths, and for goodness’ sake, don’t put your gifted students in scattered groups so they can tutor their peers. They deserve to be learning and growing just as much as any other kid—and being stuck in the role of TA is not honoring their right to learn. A few times each grading period, take time to look through your roster and reflect on your students. Are there any students who seem to be breezing through the class? Step up their challenge level. 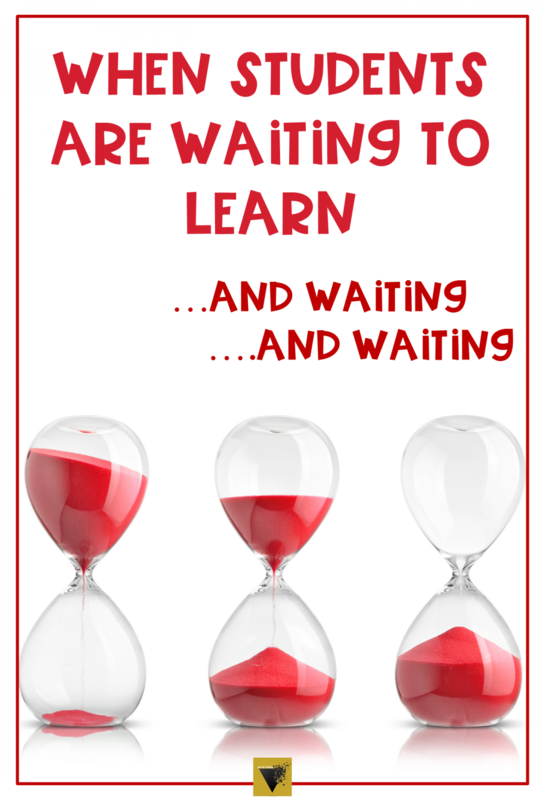 Are there students who are simply waiting for a different level of a course? Advocate on their behalf to the counselor and/or school administration. What would it look like for a grade-level team–a department–dare I say, an entire school?–to deeply and honestly reflect on how students spend time waiting and make simple but intentional changes to use time more effectively? All it takes is one person (that’s you!) to lead the movement, and there’s no time to wait.